Europe’s Ryder Cup skipper was fined $621 for hitting 97mph in the Georgia countryside. 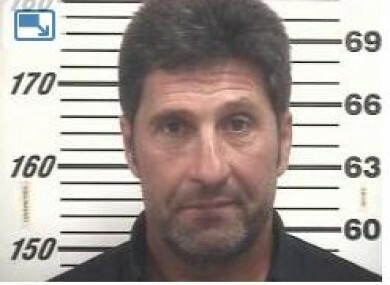 SPEEDING BETWEEN THE Masters and his next tournament cost Jose Maria Olazabal $621 when a Georgia sheriff’s deputy pulled him over for driving 97 mph on a rural highway. Olazabal, the Ryder Cup captain for Europe, agreed to follow a deputy to the Effingham County Sheriff’s Office and pay the speeding ticket in cash. The Spaniard was stopped Monday afternoon traveling from Augusta to Hilton Head, South Carolina, for the Heritage tournament, sheriff’s spokesman David Ehsanipoor said. He says the deputy clocked Olazabal’s Mercedes exceeding the posted limit of 65 mph on the rural stretch of Ga. 21, a divided four-lane highway near the Georgia-South Carolina state line. Olazabal’s manager, Sergio Gomez, did not immediately respond to an email seeking comment. The two-time Masters champion wasn’t jailed, but his mug shot was taken. Ehsanipoor said the sheriff’s department photographs everyone who is brought in on a criminal charge or citation. Olazabal, inducted into the World Golf Hall of Fame in 2009, has won 29 times around the world and played on seven Ryder Cup teams. Email “Jose Maria Olazabal busted for speeding when leaving Augusta”. Feedback on “Jose Maria Olazabal busted for speeding when leaving Augusta”.